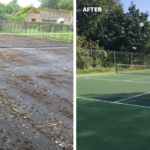 Moss and algae are often found on hard court surfaces. 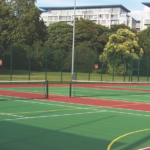 This can look unsightly and can create hazardous slippery areas. 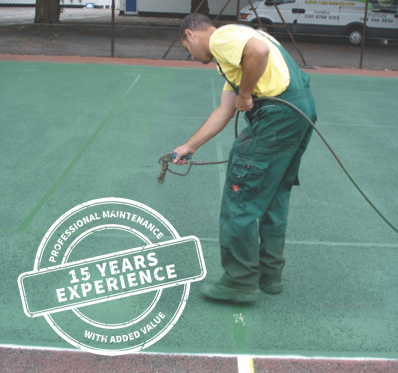 SMS recommends twice yearly application of di – algae followed by an industrial pressure clean. 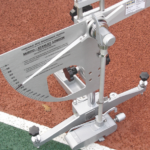 SMS offers independent slip testing on hard surfaces as standard. 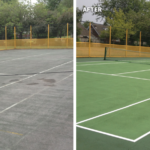 To extend the life of your court, hard surfaces should be retextured every 4-5 years. 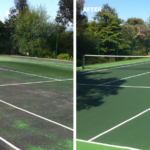 Our SAPCA approved sports premium textured paint greatly improves grip, making the surface safe for players. 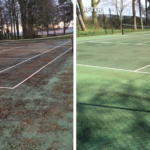 Use of COSHH approved chemicals and di-algae accessories and industrial pressure cleaning. 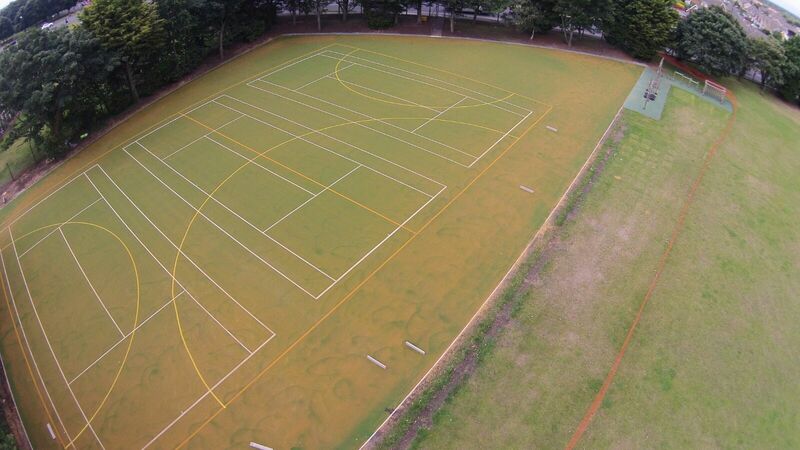 Infra ray heat treatments can be performed for cracks and small holes. 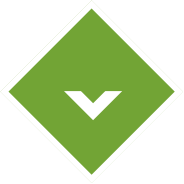 Patch Repairs. 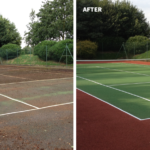 Resurfacing and retexturing or full refurbishment in extreme cases. 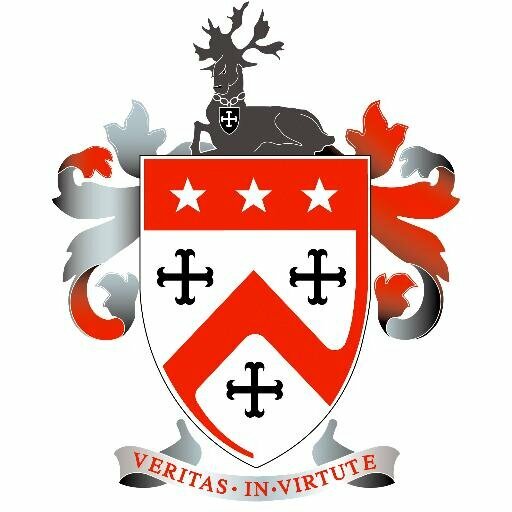 Subsidence and root encroachment Disk cutting and re-levelling of subsidence. 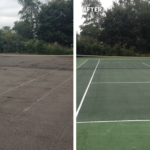 Migration of grit on ‘Grey Green’ hard courts Additional top dressing and application of additional resin if required. 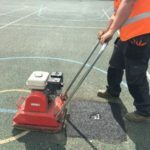 By using a reclaimed carpet the school were able to save around 50% on material costs and were able to install a high performing sports and play surface within their budget.